I have often wondered what impact the diesel fumes from yellow school buses might have on students. I know that I don’t like driving behind those buses because the fumes don’t smell good, so it seemed to me that there might be some health consequences. Others have wondered, too, and there is evidence that exhaust levels in buses can have health effects. However, it is hard to study this sort of thing, because finding people that are exposed to high levels of diesel in a controlled environment over long enough periods to measure the effects is challenging. Now, a study from the National Cancer Institute in Maryland looking at people working with another type of big yellow vehicle- the diesel trucks used in mines- has shown that heavy exposure to their fumes can increase the risk of death from lung cancer. In the study, underground mines with no high levels of other known cancer causing agents were used. The study looked at the rate of lung cancer in workers and measured the levels of exposure to diesel fumes. As would be expected, the higher the level of exposure, the higher the increase in risk of getting cancer. In mines with the highest levels of exhaust the risk of lung cancer was three times the risk in mines with little exhaust, and even in these mines, the risk of lung cancer was increased over levels seen in the population. Clearly, this suggests that miners should be aware of the levels of exhaust, and that increasing air quality in mines would be to their benefit. However, the results also suggest that people working in other places with high levels of diesel fumes may also be at risk, and this includes millions of workers at warehouses and bus depots. Likewise, people living in cities are exposed to diesel fumes. Luckily, there is a solution to this problem: reduce emissions from diesel vehicles. In fact, modern diesel engines produce much lower levels emissions than older models, with some diesel cars producing nearly no emissions. I can’t help thinking back to the kids in the buses. 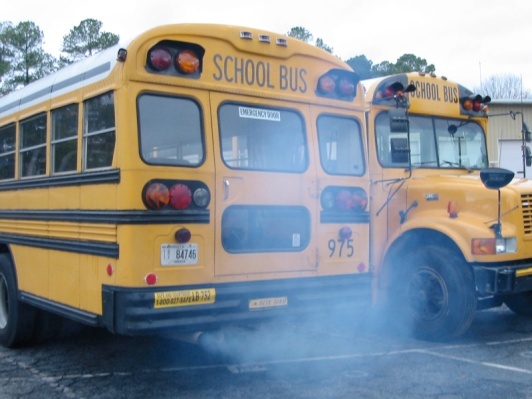 It is hard to tell what the effect might be, but sitting in a bus every day that has diesel fumes coming out the tailpipe might not be very good for all those schoolchildren, and if a child grows up taking buses every day, the exposure will add up. Hopefully, the effects are minimal. Then again, it may be worth investing in buses and other diesels that are cleaner! Print article This entry was posted by Bruce Nash on March 7, 2012 at 5:02 pm, and is filed under Inside Cancer. Follow any responses to this post through RSS 2.0. You can leave a response or trackback from your own site.